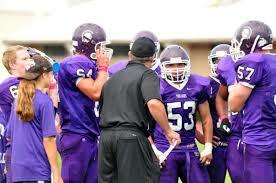 In 2011, Petaluma (CA) was 1-9 under Petaluma Alum and longtime coach, Rick Krist. In 2012, after running a camp with Lou Cella as Camp Director, Petaluma ends the season with four (4) wins. “Petaluma High has been a triple option team for many years. Over the past 10 years or so we have experimented with different formations and plays that compliment the offense. This year we went back to the basics to try and clean up our approach on offense. We had Lou come to the school. We had all three levels participate in the camp and it really helped.